Athar Aamir-ul-Shafi Khan has become the third Kashmiri to secure his place in the first three ranks in Civil Service Exams and had earned second rank. Athar Aamir-ul-Shafi Khan, a 23-year-old IIT graduate has made the militancy-torn Jammu and Kashmir proud by earning the envious second rank in the UPSC Exams. Shah Faesal had created history when he became the first Kashmiri to top the UPSC Exam in 2010. Athar Aamir-ul-Shafi Khan met Mr Shah Faesal and took his advice on whether he should join the services. Having a long discussion and after that they arrived at a conclusion that Athar Aamir-ul-Shafi Khan should join as well as appear again. “So here I am….happy at the decision. I have already given IAS as my first choice and Jammu and Kashmir as my cadre preference. I believe that there is a lot of scope for me to do something for my people in the state,” says Athar Aamir-ul-Shafi Khan. Working for the grassroots and doing something for the society was the prime reason behind Athar Aamir-ul-Shafi Khan to write Civil Service Exams. “Civil services give us the opportunity to work very closely for the people. Civil services has a distinction that you can not only work for the grassroots and the people but also with them,” Athar Aamir-ul-Shafi Khan said. Athar Aamir-ul-Shafi Khan belongs to Devipora-Mattan village in Anantnag district, 60 km south of Srinagar. He is a son of a Mohammed Shafi Khan, teaches economics at Government Girls Higher Secondary School Anantnag, Athar Aamir-ul-Shafi Khan had an inclination for higher studies from his childhood. Such was his brilliance that he was awarded by the late president APJ Abdul Kalam as young scientist when he was in class 10. And that brilliance continued through his youth when he cracked prestigious IIT. Athar Aamir-ul-Shafi Khan became interested in joining IAS after Shah Faesal from the Kashmir valley topped Civil Services Examination in 2009. “I am a proud father today. The best moment in a father’s life is when he is known by his children and today my son has given me this happiness. His hard work has paid rich dividends. Allah has listened to our prayers, nothing is possible with the will of Allah. He was a brilliant student from the childhood. He was awarded best young scientist award when he had participated in Science Congress. He later cracked IIT and then UPSC. But now he has earned second rank,” an excited father said”. 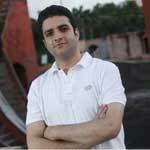 Athar Aamir-ul-Shafi Khan did his schooling from Tyndale Biscoe School in Srinagar. He had made it to the IIT but did not join as he was offered a B-Tech course when he wanted to pursue BE. This acted as a catalyst for him to appear for the Civil Services and he qualified last year. Athar Aamir-ul-Shafi Khan completed his Engineering from Indian Institute of Technology (IIT) in Mandi, Himachal Pradesh in July 2014. Despite being the science student, Athar Aamir-ul-Shafi Khan chose Philosophy as his optional subject for Civil Services Exam. Last time also his optional subject was Philosophy and he continued with this subject in his second attempt too. In his first attempt he started studying seven months before the Preliminary Exams. And by the grace of Allah and blessing of his parents he cracked UPSC Exam. Athar Aamir-ul-Shafi Khan had appeared previous year but his ranking was down (560) and, therefore, he was offered Indian Railway Traffic Service (IRTS). He joined but IAS was his first love and he planned to do both – join the training and appear again. The 23-year-old Athar Aamir-ul-Shafi Khan scored second rank in his second attempt at the prestigious Civil Services Examinations. Delhi’s Tina Dabi topped the IAS exams 2015 by securing first position. Athar Aamir-ul-Shafi Khan did not have a great exposure to coaching classes but he was confident that he can do it. Extensive reading and complete dedication made him realise his dream. “My grandfather has been biggest motivation for me, his hard work, passion and enthusiasm have been a great source of motivation for me,” says Athar Aamir-ul-Shafi Khan. Athar Aamir-ul-Shafi Khan advised Kashmiri youth to “come out of their shell” and prepare hard, rather than “crib” about the difficulties they face. The Civil Service allows you a wide area to work, and makes you responsible. u r really a true inspiration to all, u come out of dat diturbed area where ppl lives in fear always. kashmiri youth should learn smthng frm u n they shud start approaching optimistic thoughts. I Salute you sir…..That you can achieved such a big rank in UPSC exam…And made a great motivation power to the youngester in furture time. Sir will u please send the list of books and resources used for preparation for upsc mains and prelims. Congratulations Sir… You are really an inspiration for us..May almighty allah accept your deeds. You really gave youth an inspiration to work hard and achieve our goal… Thank you May Allah bless you!! U r really a source of inspiration…. sir u r really an admirable one. u achive a highest seat of govt job may Allaha bless u. u hve innerspired a lot of students from bckward kashmir side. Thank you sir.can you make a video of what your experiences were.We want to hear them in your own words. Congratulation sir ..really its a result of ur hard working..lots of students will inspire to u..again congratultion sir..
Thnkz fr inspiring us Sir..May u olwyz flourish…nd yeah..keep inspiring us 2..
Congratulations to him n his proud parents. You are genius ,gentle n humble too.God bless you a lot in your future progress too. Outstanding performance. India iz proud for u .
Congo, sir u really a role model for the youths of India as well as source of inspiration. I also want to become an IAS. Congratulation brother we glad with you,we proud also,( from me & my family). i really inspired by your win . I hope Indian youth will get motivation from you.May Allah bless you. Congratulations ATHAR for making your dreams come true. Dream on and achieve on. heartly congratulations on your success in IAS . PROUD TO BE BEING AN INDIAN AND DO EXTRAORDINARY FOR YOUR COUNTRY,STATE AND ALSO FOR SOCIETY. I WISH YOU HAVE A BRIGHT AND PRESTIGIOUS CAREER! I AM PURSUING BE (ELECTRICAL AND ELECTRONICS ENGINEERING). IS THIS SUBJECT WILL BE GOOD FOR MY OPTIONAL SUBJECT OR NOT.